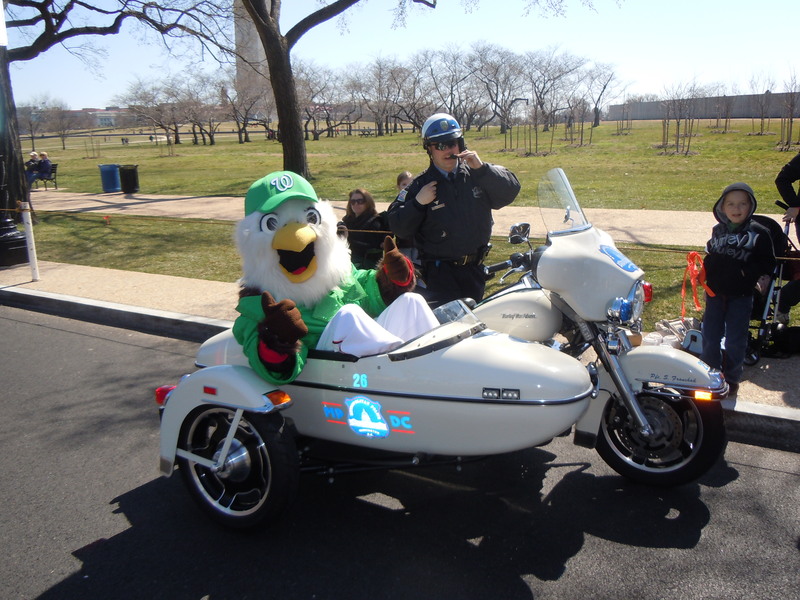 This past weekend, George, Tom, Teddy, Abe and I joined the NatMobile down Constitution Ave in celebration of the St. Patrick’s Day Parade. Green was the color of the day, so I decided to wear my new green tuxedo and hat. 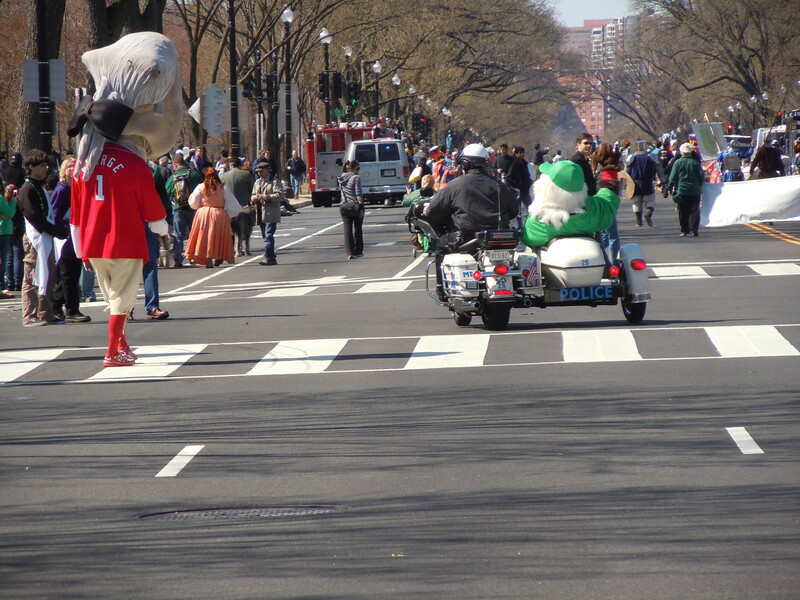 I was in full St. Patrick’s Day spirit. 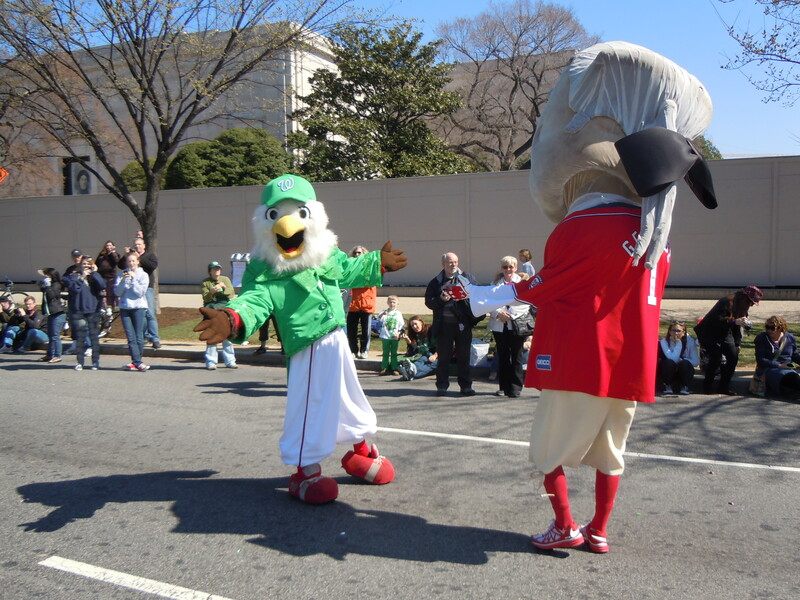 Although, I love St. Patrick’s Day, my favorite thing about it, is that Opening Day is right around the corner!! 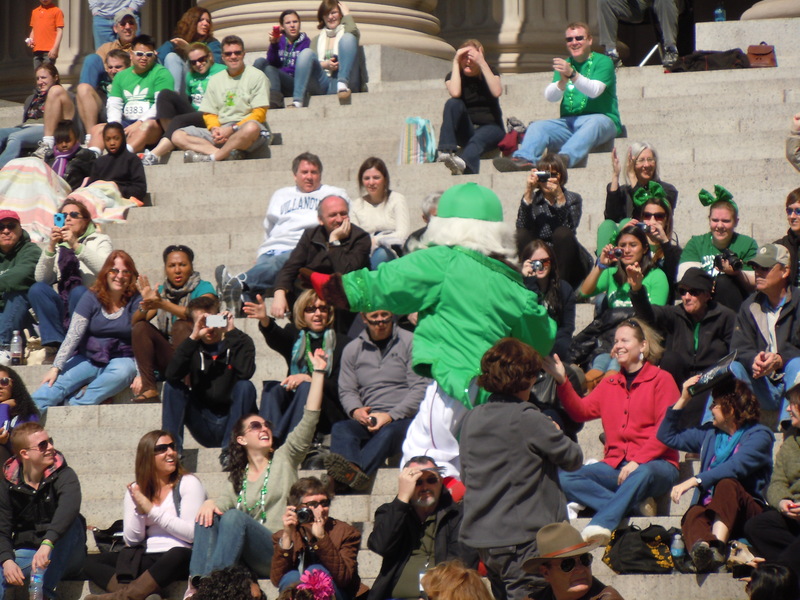 Check out a few of the pictures below of our fun day in the city!